When Japan’s second biggest mobile carrier KDDI announced its winter and spring line-up back in October, the company also showed a very Kindle-like e-reader. 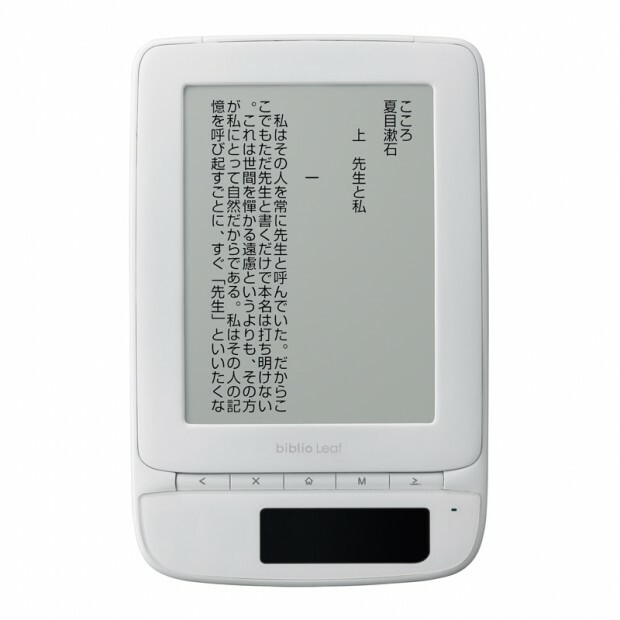 Dubbed Biblio Leaf SP02, the e-ink device was introduced with an open price model, no exact release date and just a few specs – until today. KDDI plans to start selling the Biblio Leaf, which is being manufactured by Taiwanese firm Hon Hai Precision Industry, this Saturday in selected cities in Japan. The company says the device itself will be priced at $180 and that users will need to pay a $6.30 monthly fee to download books via its 3G network.